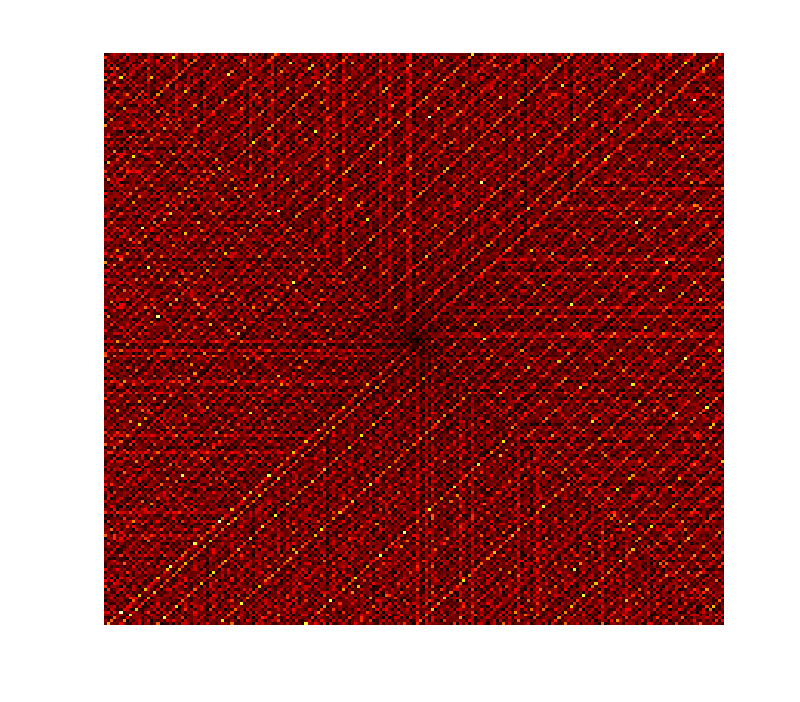 To generate a Ulam’s prime spiral the positive integers are arranged in a spiral pathern and prime numbers are highlighted in some way along the spiral. For example we used blue pixels to represent primes and white pixels for composite numbers. 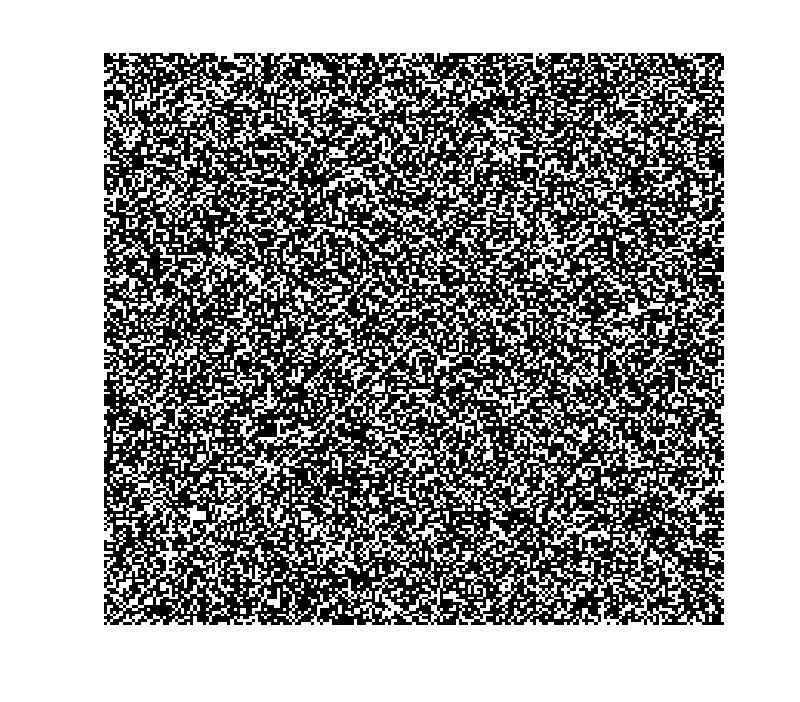 The code below uses built in Matlab function to generate the Ulam spiral. 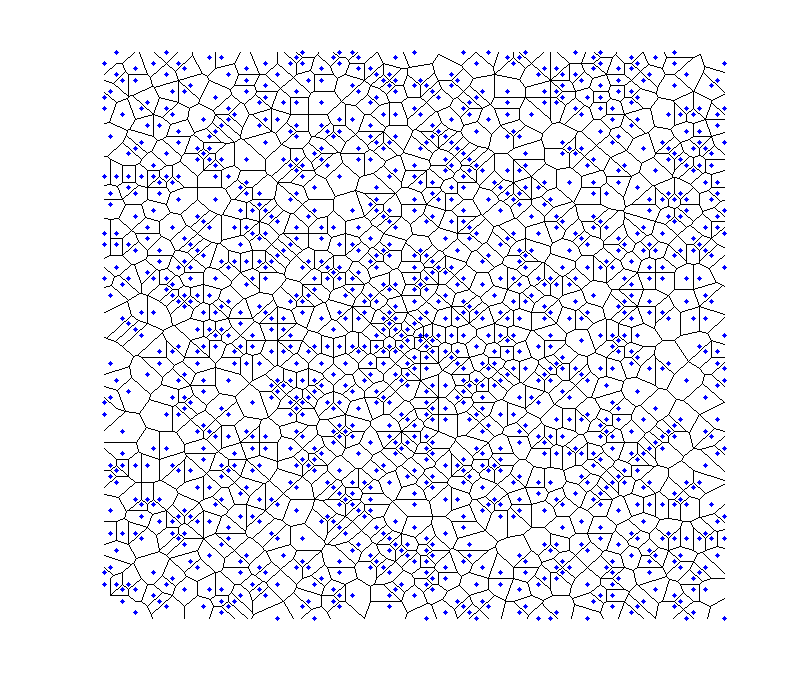 Now lets construct Varanoi diagram for the prime numbers (higlighted points in blue) in Ulam spiral. % Q1: What is the maximum value for n, n_max ? In other words is there an uper bound ? % edges of the spiral which might be altered when considering a larger spiral. 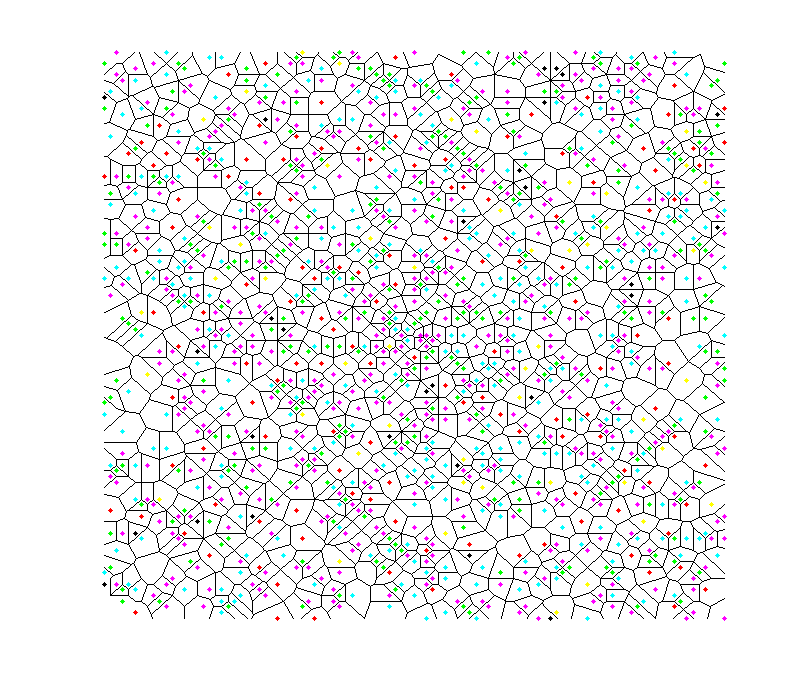 Black dots are prime numbers. 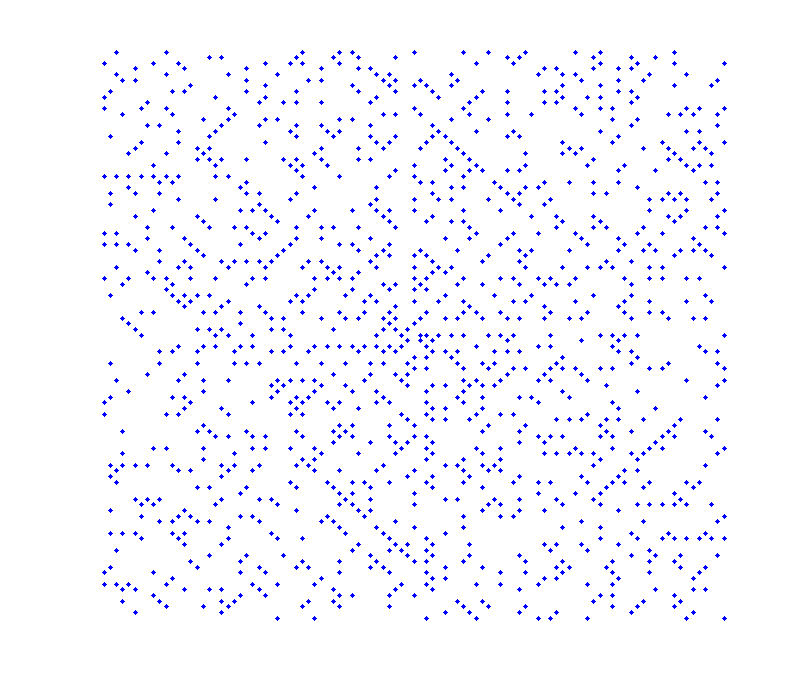 As lighter is the dot as higher is the number of prime factors of that number in the Ulam spiral. 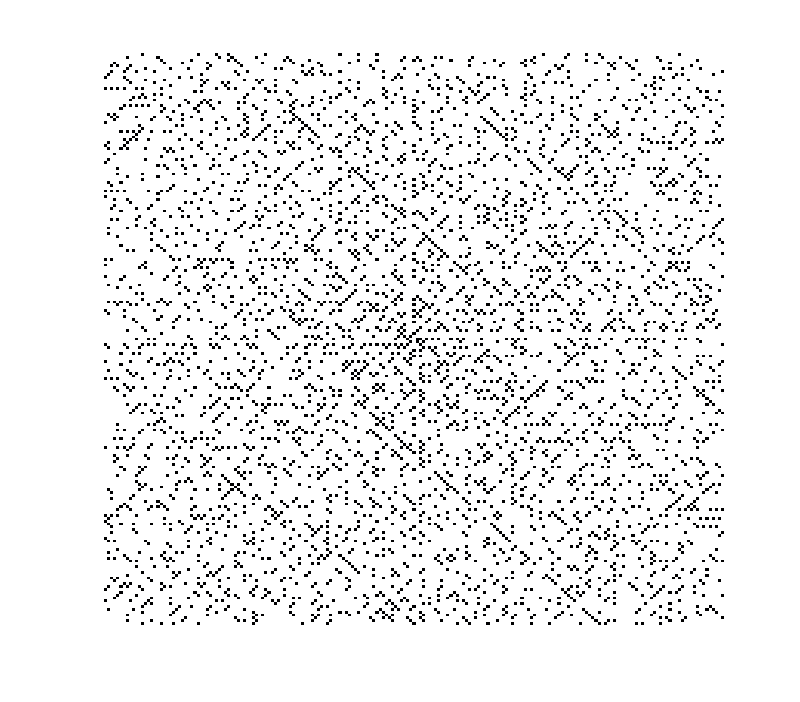 Black dots corespondend to the numbers in Ulam spiral which has a prime number of prime factors.